Welcome to the Manasota ASALH, Inc., Website! Our mission is to promote, research, preserve, interpret and disseminate information about Black life, history and culture. Dr. Carter G. Woodson, the Father of Black History Month, founded the Association for the Study of African-American Life and History (ASALH) on September 9, 1915. To advance ASALH’s mission Dr. Woodson believed that local branches such as ours are absolutely essential for the effective dissemination of knowledge about Black history and culture. Organized in March 1996, Manasota ASALH has worked continuously to fulfill its mission by sponsoring a variety of community programs designed to enhance the education of citizens of all backgrounds and ages. 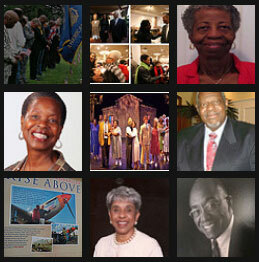 We are especially proud to have the largest membership of any branch in the ASALH network! On this Website you will find a variety of information about the Manasota branch’s events and activities as well as those of other organizations in the community that relate to our mission. Whether you are a member seeking information about our activities, an educator researching Black history for your classroom, or a local resident seeking general information about Black history and/or culture, we believe you will find this Website useful. Please let us know how we can better serve you through this vehicle. After reviewing the material on the website we sincerely hope that you will decide to support our programs and, in addition, become an active member of Manasota ASALH!